Recently visited Window to the womb croydon. All I can say is WOW. We found out we were having a baby girl! After the scan, the reception staff showed us our scan images on a computer and we could pick our favourites to be printed. We also got all of the images sent via an app called bumpies on my mobile phone instantly.overall a lovely experience, involved the whole family and we left feeling impressed. I would recommended Window to the Womb to anyone wanting a scan. I already booked in for my 4D scan. Clinic spotless and staff so welcoming. Brilliant way to see your baby in their elements. Brand new centre with top tech and amazing staff to make sure you are comfortable and cared for. 5 Star. Our Croydon clinic offers early pregnancy scans from 6 weeks. Specialist scans available. Welcome to our Croydon, Hackbridge Baby Scan Clinic. We are the leading private baby ultrasound scan clinic in the Croydon/London, Wallington/Surrey areas offering a range of pregnancy scans designed to fit into the various stages of your pregnancy. You will find us on London Road, a two-minute walk from Hackbridge train station and very close to Beddington Farmlands Nature Reserve. Window to the Womb Croydon, Hackbridge specialise in providing scans for all trimesters of pregnancy, from Early Pregnancy Scans at 6 week , right through to Growth & Presentation Scans up to 40 weeks. From 24 to 34 weeks (recommended between 26-31 weeks of pregnancy for a single pregnancy or 20-24 weeks for multiple pregnancies.) We offer a selection of fantastic 3D Scans & 4D Scans, giving you the ability to see baby moving real time and their features, offering a true bonding experience with your baby. A moment where family can come together to have a glimpse into baby’s world in the womb. We accommodate up to 7 guests including mum-to-be. Not only that, if you were to visit us for a 3D scan or 4D scan experience you can also upgrade to stunning HDlive giving you an even clearer view of baby. We are delighted to be able to offer our unique ultrasound baby scanning service to mums-to-be and their families so whether you live in Croydon, Hackbridge, South East London Or Surrey. You can now experience a Window To The Womb Early Reassurance Scan, Well-Being Scan, Gender Scan, 3D Scan, 4D Baby Scan or Growth Scan for yourself. Our baby scanning clinic has plenty of room for you to bring friends or family with you to share this wonderful experience. Gemma and her fantastic team look forward to welcoming you, your family and of course your bump to our Croydon, Hackbridge baby scan clinic and having the privilege of introducing you all to your baby. All of our scans include a basic well-being check and gender confirmation (if desired), both of which will be performed in 2D. If baby doesn’t play ball in the scan room, causing gender determination and 3D/4D imagery to be difficult, the Sonographer may ask you to lie on your side or go for gentle stroll in the hope that baby will move. In the event that baby is still in the wrong position, most of our packages offer you one free rescan so that we can try again on an alternate date. Local Amenities We’re a stone’s throw from Beddington Farmlands Nature Reserve and surrounded by plenty of local shops for all your needs. By Train We’re a 2 minute walk from Hackbridge station, which is less than 30 mins from Central London. The scanning equipment used by Window to the Womb Croydon is state-of-the-art scanning equipment in the GE Voluson S8 Expert. Ultrasound technology has been researched extensively in hundreds of clinical studies over the past 30 years and has not been shown to cause any harm to either mother or baby with routine scanning now a normal procedure in all pregnancies. In 3D/4D scanning, exactly the same type and intensity of ultrasound is used as with conventional 2D scanning. 3D and 4D ultrasound both utilise sound waves to look inside the body. A probe placed on the body emits sound waves into the body, listens for the return echo and generates an image. 4D ultrasound will be similar therefore to a conventional scan in terms of exposure. This is likely the same machine that the NHS will use in your 12 week dating and 20 week anomaly scans. When choosing a baby scan clinic to book your scan with, we suggest that you request information on what equipment they have in clinic, as we believe that the heavy weight and fixed Voluson S8 offers a far superior quality of images than a mobile laptop and doppler, that is typically carried from one location to the next. The Voluson E8 allows you to meet baby in full high definition to really see what they are getting up to in their own little world. 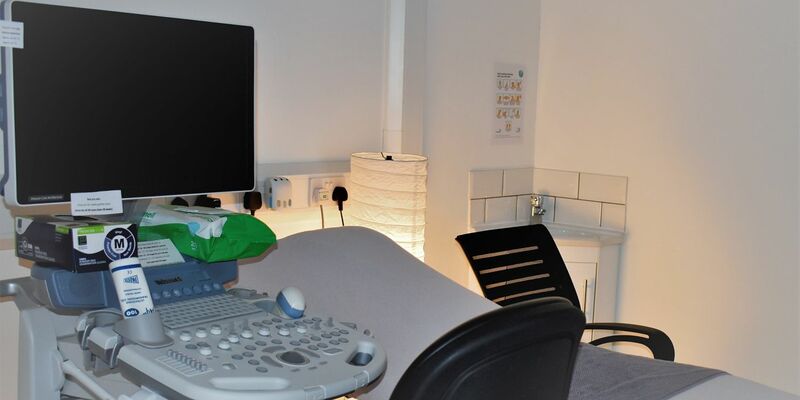 To make sure that mum and up to 5 guests have the very best experience, Window to the Womb Baby Scan Clinic in Surrey, Croydon features multiple large screens, meaning everyone can really get to know baby. Our Croydon Clinic Offers The Following Services And Serves The Following Locations: Private Baby Scans Battersea, Private Baby Ultrasound Scans Battersea, Private Pregnancy Scans Battersea, Private Well Being And Reassurance Scans Battersea, Private Gender/Sexing Scans Battersea, Private 3D/4D Scans Battersea, Private Growth And Presentation Scans Battersea, 4D Scan Battersea, 3D Scan Battersea, Gender Scan Battersea, Baby Scan Battersea, Pregnancy Scan Battersea. Private Baby Scans Beckenham, Private Baby Ultrasound Scans Beckenham, Private Pregnancy Scans Beckenham, Private Well Being And Reassurance Scans Beckenham, Private Gender/Sexing Scans Beckenham, Private 3D/4D Scans Beckenham, Private Growth And Presentation Scans Beckenham, 4D Scan Beckenham, 3D Scan Beckenham, Gender Scan Beckenham, Baby Scan Beckenham, Pregnancy Scan Beckenham. Private Baby Scans Bermondsey, Private Baby Ultrasound Scans Bermondsey, Private Pregnancy Scans Bermondsey, Private Well Being And Reassurance Scans Bermondsey, Private Gender/Sexing Scans Bermondsey, Private 3D/4D Scans Bermondsey, Private Growth And Presentation Scans Bermondsey, 4D Scan Bermondsey, 3D Scan Bermondsey, Gender Scan Bermondsey, Baby Scan Bermondsey, Pregnancy Scan Bermondsey. Private Baby Scans Blackheath, Private Baby Ultrasound Scans Blackheath, Private Pregnancy Scans Blackheath, Private Well Being And Reassurance Scans Blackheath, Private Gender/Sexing Scans Blackheath, Private 3D/4D Scans Blackheath, Private Growth And Presentation Scans Blackheath, 4D Scan Blackheath, 3D Scan Blackheath, Gender Scan Blackheath, Baby Scan Blackheath, Pregnancy Scan Blackheath. Private Baby Scans Brixton, Private Baby Ultrasound Scans Brixton, Private Pregnancy Scans Brixton, Private Well Being And Reassurance Scans Brixton, Private Gender/Sexing Scans Brixton, Private 3D/4D Scans Brixton, Private Growth And Presentation Scans Brixton, 4D Scan Brixton, 3D Scan Brixton, Gender Scan Brixton, Baby Scan Brixton, Pregnancy Scan Brixton. Private Baby Scans Brockham, Private Baby Ultrasound Scans Brockham, Private Pregnancy Scans Brockham, Private Well Being And Reassurance Scans Brockham, Private Gender/Sexing Scans Brockham, Private 3D/4D Scans Brockham, Private Growth And Presentation Scans Brockham, 4D Scan Brockham, 3D Scan Brockham, Gender Scan Brockham, Baby Scan Brockham, Pregnancy Scan Brockham. Private Baby Scans Brockley, Private Baby Ultrasound Scans Brockley, Private Pregnancy Scans Brockley, Private Well Being And Reassurance Scans Brockley, Private Gender/Sexing Scans Brockley, Private 3D/4D Scans Brockley, Private Growth And Presentation Scans Brockley, 4D Scan Brockley, 3D Scan Brockley, Gender Scan Brockley, Baby Scan Brockley, Pregnancy Scan Brockley. Private Baby Scans Bromley, Private Baby Ultrasound Scans Bromley, Private Pregnancy Scans Bromley, Private Well Being And Reassurance Scans Bromley, Private Gender/Sexing Scans Bromley, Private 3D/4D Scans Bromley, Private Growth And Presentation Scans Bromley, 4D Scan Bromley, 3D Scan Bromley, Gender Scan Bromley, Baby Scan Bromley, Pregnancy Scan Bromley. Private Baby Scans Camberwell, Private Baby Ultrasound Scans Camberwell, Private Pregnancy Scans Camberwell, Private Well Being And Reassurance Scans Camberwell, Private Gender/Sexing Scans Camberwell, Private 3D/4D Scans Camberwell, Private Growth And Presentation Scans Camberwell, 4D Scan Camberwell, 3D Scan Camberwell, Gender Scan Camberwell, Baby Scan Camberwell, Pregnancy Scan Camberwell. Private Baby Scans Charing Cross, Private Baby Ultrasound Scans Charing Cross, Private Pregnancy Scans Charing Cross, Private Well Being And Reassurance Scans Charing Cross, Private Gender/Sexing Scans Charing Cross, Private 3D/4D Scans Charing Cross, Private Growth And Presentation Scans Charing Cross, 4D Scan Charing Cross, 3D Scan Charing Cross, Gender Scan Charing Cross, Baby Scan Charing Cross, Pregnancy Scan Charing Cross. Private Baby Scans Chipstead, Private Baby Ultrasound Scans Chipstead, Private Pregnancy Scans Chipstead, Private Well Being And Reassurance Scans Chipstead, Private Gender/Sexing Scans Chipstead, Private 3D/4D Scans Chipstead, Private Growth And Presentation Scans Chipstead, 4D Scan Chipstead, 3D Scan Chipstead, Gender Scan Chipstead, Baby Scan Chipstead, Pregnancy Scan Chipstead. Private Baby Scans Chislehurst, Private Baby Ultrasound Scans Chislehurst, Private Pregnancy Scans Chislehurst, Private Well Being And Reassurance Scans Chislehurst, Private Gender/Sexing Scans Chislehurst, Private 3D/4D Scans Chislehurst, Private Growth And Presentation Scans Chislehurst, 4D Scan Chislehurst, 3D Scan Chislehurst, Gender Scan Chislehurst, Baby Scan Chislehurst, Pregnancy Scan Chislehurst. Private Baby Scans Clapham, Private Baby Ultrasound Scans Clapham, Private Pregnancy Scans Clapham, Private Well Being And Reassurance Scans Clapham, Private Gender/Sexing Scans Clapham, Private 3D/4D Scans Clapham, Private Growth And Presentation Scans Clapham, 4D Scan Clapham, 3D Scan Clapham, Gender Scan Clapham, Baby Scan Clapham, Pregnancy Scan Clapham. Private Baby Scans Croydon, Private Baby Ultrasound Scans Croydon, Private Pregnancy Scans Croydon, Private Well Being And Reassurance Scans Croydon, Private Gender/Sexing Scans Croydon, Private 3D/4D Scans Croydon, Private Growth And Presentation Scans Croydon, 4D Scan Croydon, 3D Scan Croydon, Gender Scan Croydon, Baby Scan Croydon, Pregnancy Scan Croydon. Private Baby Scans Crystal Palace, Private Baby Ultrasound Scans Crystal Palace, Private Pregnancy Scans Crystal Palace, Private Well Being And Reassurance Scans Crystal Palace, Private Gender/Sexing Scans Crystal Palace, Private 3D/4D Scans Crystal Palace, Private Growth And Presentation Scans Crystal Palace, 4D Scan Crystal Palace, 3D Scan Crystal Palace, Gender Scan Crystal Palace, Baby Scan Crystal Palace, Pregnancy Scan Crystal Palace. Private Baby Scans Deptford, Private Baby Ultrasound Scans Deptford, Private Pregnancy Scans Deptford, Private Well Being And Reassurance Scans Deptford, Private Gender/Sexing Scans Deptford, Private 3D/4D Scans Deptford, Private Growth And Presentation Scans Deptford, 4D Scan Deptford, 3D Scan Deptford, Gender Scan Deptford, Baby Scan Deptford, Pregnancy Scan Deptford. Private Baby Scans Dulwich Village, Private Baby Ultrasound Scans Dulwich Village, Private Pregnancy Scans Dulwich Village, Private Well Being And Reassurance Scans Dulwich Village, Private Gender/Sexing Scans Dulwich Village, Private 3D/4D Scans Dulwich Village, Private Growth And Presentation Scans Dulwich Village, 4D Scan Dulwich Village, 3D Scan Dulwich Village, Gender Scan Dulwich Village, Baby Scan Dulwich Village, Pregnancy Scan Dulwich Village. Private Baby Scans Elephant & Castle, Private Baby Ultrasound Scans Elephant & Castle, Private Pregnancy Scans Elephant & Castle, Private Well Being And Reassurance Scans Elephant & Castle, Private Gender/Sexing Scans Elephant & Castle, Private 3D/4D Scans Elephant & Castle, Private Growth And Presentation Scans Elephant & Castle, 4D Scan Elephant & Castle, 3D Scan Elephant & Castle, Gender Scan Elephant & Castle, Baby Scan Elephant & Castle, Pregnancy Scan Elephant & Castle. Private Baby Scans Greenwich, Private Baby Ultrasound Scans Greenwich, Private Pregnancy Scans Greenwich, Private Well Being And Reassurance Scans Greenwich, Private Gender/Sexing Scans Greenwich, Private 3D/4D Scans Greenwich, Private Growth And Presentation Scans Greenwich, 4D Scan Greenwich, 3D Scan Greenwich, Gender Scan Greenwich, Baby Scan Greenwich, Pregnancy Scan Greenwich. Private Baby Scans Hackbridge, Private Baby Ultrasound Scans Hackbridge, Private Pregnancy Scans Hackbridge, Private Well Being And Reassurance Scans Hackbridge, Private Gender/Sexing Scans Hackbridge, Private 3D/4D Scans Hackbridge, Private Growth And Presentation Scans Hackbridge, 4D Scan Hackbridge, 3D Scan Hackbridge, Gender Scan Hackbridge, Baby Scan Hackbridge, Pregnancy Scan Hackbridge. Private Baby Scans Lambeth, Private Baby Ultrasound Scans Lambeth, Private Pregnancy Scans Lambeth, Private Well Being And Reassurance Scans Lambeth, Private Gender/Sexing Scans Lambeth, Private 3D/4D Scans Lambeth, Private Growth And Presentation Scans Lambeth, 4D Scan Lambeth, 3D Scan Lambeth, Gender Scan Lambeth, Baby Scan Lambeth, Pregnancy Scan Lambeth. Private Baby Scans London Bridge, Private Baby Ultrasound Scans London Bridge, Private Pregnancy Scans London Bridge, Private Well Being And Reassurance Scans London Bridge, Private Gender/Sexing Scans London Bridge, Private 3D/4D Scans London Bridge, Private Growth And Presentation Scans London Bridge, 4D Scan London Bridge, 3D Scan London Bridge, Gender Scan London Bridge, Baby Scan London Bridge, Pregnancy Scan London Bridge. Private Baby Scans Mitcham, Private Baby Ultrasound Scans Mitcham, Private Pregnancy Scans Mitcham, Private Well Being And Reassurance Scans Mitcham, Private Gender/Sexing Scans Mitcham, Private 3D/4D Scans Mitcham, Private Growth And Presentation Scans Mitcham, 4D Scan Mitcham, 3D Scan Mitcham, Gender Scan Mitcham, Baby Scan Mitcham, Pregnancy Scan Mitcham. Private Baby Scans Morden, Private Baby Ultrasound Scans Morden, Private Pregnancy Scans Morden, Private Well Being And Reassurance Scans Morden, Private Gender/Sexing Scans Morden, Private 3D/4D Scans Morden, Private Growth And Presentation Scans Morden, 4D Scan Morden, 3D Scan Morden, Gender Scan Morden, Baby Scan Morden, Pregnancy Scan Morden. Private Baby Scans New Cross, Private Baby Ultrasound Scans New Cross, Private Pregnancy Scans New Cross, Private Well Being And Reassurance Scans New Cross, Private Gender/Sexing Scans New Cross, Private 3D/4D Scans New Cross, Private Growth And Presentation Scans New Cross, 4D Scan New Cross, 3D Scan New Cross, Gender Scan New Cross, Baby Scan New Cross, Pregnancy Scan New Cross. Private Baby Scans Nine Elms, Private Baby Ultrasound Scans Nine Elms, Private Pregnancy Scans Nine Elms, Private Well Being And Reassurance Scans Nine Elms, Private Gender/Sexing Scans Nine Elms, Private 3D/4D Scans Nine Elms, Private Growth And Presentation Scans Nine Elms, 4D Scan Nine Elms, 3D Scan Nine Elms, Gender Scan Nine Elms, Baby Scan Nine Elms, Pregnancy Scan Nine Elms. Private Baby Scans Orpington, Private Baby Ultrasound Scans Orpington, Private Pregnancy Scans Orpington, Private Well Being And Reassurance Scans Orpington, Private Gender/Sexing Scans Orpington, Private 3D/4D Scans Orpington, Private Growth And Presentation Scans Orpington, 4D Scan Orpington, 3D Scan Orpington, Gender Scan Orpington, Baby Scan Orpington, Pregnancy Scan Orpington. Private Baby Scans Peckham, Private Baby Ultrasound Scans Peckham, Private Pregnancy Scans Peckham, Private Well Being And Reassurance Scans Peckham, Private Gender/Sexing Scans Peckham, Private 3D/4D Scans Peckham, Private Growth And Presentation Scans Peckham, 4D Scan Peckham, 3D Scan Peckham, Gender Scan Peckham, Baby Scan Peckham, Pregnancy Scan Peckham. Private Baby Scans Penge, Private Baby Ultrasound Scans Penge, Private Pregnancy Scans Penge, Private Well Being And Reassurance Scans Penge, Private Gender/Sexing Scans Penge, Private 3D/4D Scans Penge, Private Growth And Presentation Scans Penge, 4D Scan Penge, 3D Scan Penge, Gender Scan Penge, Baby Scan Penge, Pregnancy Scan Penge. Private Baby Scans Perivale, Private Baby Ultrasound Scans Perivale, Private Pregnancy Scans Perivale, Private Well Being And Reassurance Scans Perivale, Private Gender/Sexing Scans Perivale, Private 3D/4D Scans Perivale, Private Growth And Presentation Scans Perivale, 4D Scan Perivale, 3D Scan Perivale, Gender Scan Perivale, Baby Scan Perivale, Pregnancy Scan Perivale. Private Baby Scans Redhill, Private Baby Ultrasound Scans Redhill, Private Pregnancy Scans Redhill, Private Well Being And Reassurance Scans Redhill, Private Gender/Sexing Scans Redhill, Private 3D/4D Scans Redhill, Private Growth And Presentation Scans Redhill, 4D Scan Redhill, 3D Scan Redhill, Gender Scan Redhill, Baby Scan Redhill, Pregnancy Scan Redhill. Private Baby Scans Reigate, Private Baby Ultrasound Scans Reigate, Private Pregnancy Scans Reigate, Private Well Being And Reassurance Scans Reigate, Private Gender/Sexing Scans Reigate, Private 3D/4D Scans Reigate, Private Growth And Presentation Scans Reigate, 4D Scan Reigate, 3D Scan Reigate, Gender Scan Reigate, Baby Scan Reigate, Pregnancy Scan Reigate. Private Baby Scans Rotherhithe, Private Baby Ultrasound Scans Rotherhithe, Private Pregnancy Scans Rotherhithe, Private Well Being And Reassurance Scans Rotherhithe, Private Gender/Sexing Scans Rotherhithe, Private 3D/4D Scans Rotherhithe, Private Growth And Presentation Scans Rotherhithe, 4D Scan Rotherhithe, 3D Scan Rotherhithe, Gender Scan Rotherhithe, Baby Scan Rotherhithe, Pregnancy Scan Rotherhithe. Private Baby Scans Saint Johns, Private Baby Ultrasound Scans Saint Johns, Private Pregnancy Scans Saint Johns, Private Well Being And Reassurance Scans Saint Johns, Private Gender/Sexing Scans Saint Johns, Private 3D/4D Scans Saint Johns, Private Growth And Presentation Scans Saint Johns, 4D Scan Saint Johns, 3D Scan Saint Johns, Gender Scan Saint Johns, Baby Scan Saint Johns, Pregnancy Scan Saint Johns. Private Baby Scans Sevenoaks Weald, Private Baby Ultrasound Scans Sevenoaks Weald, Private Pregnancy Scans Sevenoaks Weald, Private Well Being And Reassurance Scans Sevenoaks Weald, Private Gender/Sexing Scans Sevenoaks Weald, Private 3D/4D Scans Sevenoaks Weald, Private Growth And Presentation Scans Sevenoaks Weald, 4D Scan Sevenoaks Weald, 3D Scan Sevenoaks Weald, Gender Scan Sevenoaks Weald, Baby Scan Sevenoaks Weald, Pregnancy Scan Sevenoaks Weald. Private Baby Scans Southbank, Private Baby Ultrasound Scans Southbank, Private Pregnancy Scans Southbank, Private Well Being And Reassurance Scans Southbank, Private Gender/Sexing Scans Southbank, Private 3D/4D Scans Southbank, Private Growth And Presentation Scans Southbank, 4D Scan Southbank, 3D Scan Southbank, Gender Scan Southbank, Baby Scan Southbank, Pregnancy Scan Southbank. Private Baby Scans Southwark, Private Baby Ultrasound Scans Southwark, Private Pregnancy Scans Southwark, Private Well Being And Reassurance Scans Southwark, Private Gender/Sexing Scans Southwark, Private 3D/4D Scans Southwark, Private Growth And Presentation Scans Southwark, 4D Scan Southwark, 3D Scan Southwark, Gender Scan Southwark, Baby Scan Southwark, Pregnancy Scan Southwark. Private Baby Scans Stockwell, Private Baby Ultrasound Scans Stockwell, Private Pregnancy Scans Stockwell, Private Well Being And Reassurance Scans Stockwell, Private Gender/Sexing Scans Stockwell, Private 3D/4D Scans Stockwell, Private Growth And Presentation Scans Stockwell, 4D Scan Stockwell, 3D Scan Stockwell, Gender Scan Stockwell, Baby Scan Stockwell, Pregnancy Scan Stockwell. Private Baby Scans Stoneleigh, Private Baby Ultrasound Scans Stoneleigh, Private Pregnancy Scans Stoneleigh, Private Well Being And Reassurance Scans Stoneleigh, Private Gender/Sexing Scans Stoneleigh, Private 3D/4D Scans Stoneleigh, Private Growth And Presentation Scans Stoneleigh, 4D Scan Stoneleigh,3D Scan Stoneleigh, Gender Scan Stoneleigh, Baby Scan Stoneleigh, Pregnancy Scan Stoneleigh. Private Baby Scans Streatham, Private Baby Ultrasound Scans Streatham, Private Pregnancy Scans Streatham, Private Well Being And Reassurance Scans Streatham, Private Gender/Sexing Scans Streatham, Private 3D/4D Scans Streatham, Private Growth And Presentation Scans Streatham, 4D Scan Streatham, 3D Scan Streatham, Gender Scan Streatham, Baby Scan Streatham, Pregnancy Scan Streatham. Private Baby Scans Sutton, Private Baby Ultrasound Scans Sutton, Private Pregnancy Scans Sutton, Private Well Being And Reassurance Scans Sutton, Private Gender/Sexing Scans Sutton, Private 3D/4D Scans Sutton, Private Growth And Presentation Scans Sutton, 4D Scan Sutton, 3D Scan Sutton, Gender Scan Sutton, Baby Scan Sutton, Pregnancy Scan Sutton. Private Baby Scans Tadworth, Private Baby Ultrasound Scans Tadworth, Private Pregnancy Scans Tadworth, Private Well Being And Reassurance Scans Tadworth, Private Gender/Sexing Scans Tadworth, Private 3D/4D Scans Tadworth, Private Growth And Presentation Scans Tadworth, 4D Scan Tadworth, 3D Scan Tadworth, Gender Scan Tadworth, Baby Scan Tadworth, Pregnancy Scan Tadworth. Private Baby Scans The Shard, Private Baby Ultrasound Scans The Shard, Private Pregnancy Scans The Shard, Private Well Being And Reassurance Scans The Shard, Private Gender/Sexing Scans The Shard, Private 3D/4D Scans The Shard, Private Growth And Presentation Scans The Shard, 4D Scan The Shard, 3D Scan The Shard, Gender Scan The Shard, Baby Scan The Shard, Pregnancy Scan The Shard. Private Baby Scans Thornton Heath, Private Baby Ultrasound Scans Thornton Heath, Private Pregnancy Scans Thornton Heath, Private Well Being And Reassurance Scans Thornton Heath, Private Gender/Sexing Scans Thornton Heath, Private 3D/4D Scans Thornton Heath, Private Growth And Presentation Scans Thornton Heath, 4D Scan Thornton Heath, 3D Scan Thornton Heath, Gender Scan Thornton Heath, Baby Scan Thornton Heath, Pregnancy Scan Thornton Heath. Private Baby Scans Tulse Hill, Private Baby Ultrasound Scans Tulse Hill, Private Pregnancy Scans Tulse Hill, Private Well Being And Reassurance Scans Tulse Hill, Private Gender/Sexing Scans Tulse Hill, Private 3D/4D Scans Tulse Hill, Private Growth And Presentation Scans Tulse Hill, 4D Scan Tulse Hill, 3D Scan Tulse Hill, Gender Scan Tulse Hill, Baby Scan Tulse Hill, Pregnancy Scan Tulse Hill. Private Baby Scans Tooting, Private Baby Ultrasound Scans Tooting, Private Pregnancy Scans Tooting, Private Well Being And Reassurance Scans Tooting, Private Gender/Sexing Scans Tooting, Private 3D/4D Scans Tooting, Private Growth And Presentation Scans Tooting, 4D Scan Tooting, 3D Scan Tooting, Gender Scan Tooting, Baby Scan Tooting, Pregnancy Scan Tooting. Private Baby Scans Vauxhall, Private Baby Ultrasound Scans Vauxhall, Private Pregnancy Scans Vauxhall, Private Well Being And Reassurance Scans Vauxhall, Private Gender/Sexing Scans Vauxhall, Private 3D/4D Scans Vauxhall, Private Growth And Presentation Scans Vauxhall, 4D Scan Vauxhall, 3D Scan Vauxhall, Gender Scan Vauxhall, Baby Scan Vauxhall, Pregnancy Scan Vauxhall. Private Baby Scans Whyteleafe, Private Baby Ultrasound Scans Whyteleafe, Private Pregnancy Scans Whyteleafe, Private Well Being And Reassurance Scans Whyteleafe, Private Gender/Sexing Scans Whyteleafe, Private 3D/4D Scans Whyteleafe, Private Growth And Presentation Scans Whyteleafe, 4D Scan Whyteleafe, 3D Scan Whyteleafe, Gender Scan Whyteleafe, Baby Scan Whyteleafe, Pregnancy Scan Whyteleafe. Private Baby Scans London Road, Private Baby Ultrasound Scans London Road, Private Pregnancy Scans London Road, Private Well Being And Reassurance Scans London Road, Private Gender/Sexing Scans London Road, Private 3D/4D Scans London Road, Private Growth And Presentation Scans London Road, 4D Scan London Road, 3D Scan London Road, Gender Scan London Road, Baby Scan London Road, Pregnancy Scan London Road. Private Baby Scans Wimbledon, Private Baby Ultrasound Scans Wimbledon, Private Pregnancy Scans Wimbledon, Private Well Being And Reassurance Scans Wimbledon, Private Gender/Sexing Scans Wimbledon, Private 3D/4D Scans Wimbledon, Private Growth And Presentation Scans Wimbledon, 4D Scan Wimbledon, 3D Scan Wimbledon, Gender Scan Wimbledon, Baby Scan Wimbledon, Pregnancy Scan Wimbledon. Early baby scan Croydon early scan Croydon early pregnancy scan Croydon dating scan Croydon reassurance scan Croydon viability scan Croydon specialist scan Croydon private baby scan Croydon early pregnancy ultrasound Croydon private pregnancy scan Croydon internal scan Croydon previous ectopic Croydon previous miscarriage scan Croydon pregnancy symptoms scan Croydon 6 week scan Croydon 7 week scan Croydon 8 week scan Croydon 9 week scan Croydon 10 week scan Croydon 11 week scan Croydon 12 week scan Croydon. Early baby scan Battersea early scan Battersea early pregnancy scan Battersea dating scan Battersea reassurance scan Battersea viability scan Battersea specialist scan Battersea private baby scan Battersea early pregnancy ultrasound Battersea private pregnancy scan Battersea internal scan Battersea previous ectopic Battersea previous miscarriage scan Battersea pregnancy symptoms scan Battersea 6 week scan Battersea 7 week scan Battersea 8 week scan Battersea 9 week scan Battersea 10 week scan Battersea 11 week scan Battersea 12 week scan Battersea. Early baby scan Beckenham early scan Beckenham early pregnancy scan Beckenham dating scan Beckenham reassurance scan Beckenham viability scan Beckenham specialist scan Beckenham private baby scan Beckenham early pregnancy ultrasound Beckenham private pregnancy scan Beckenham internal scan Beckenham previous ectopic Beckenham previous miscarriage scan Beckenham pregnancy symptoms scan Beckenham 6 week scan Beckenham 7 week scan Beckenham 8 week scan Beckenham 9 week scan Beckenham 10 week scan Beckenham 11 week scan Beckenham 12 week scan Beckenham. Early baby scan Brixton early scan Brixton early pregnancy scan Brixton dating scan Brixton reassurance scan Brixton viability scan Brixton specialist scan Brixton private baby scan Brixton early pregnancy ultrasound Brixton private pregnancy scan Brixton internal scan Brixton previous ectopic Brixton previous miscarriage scan Brixton pregnancy symptoms scan Brixton 6 week scan Brixton 7 week scan Brixton 8 week scan Brixton 9 week scan Brixton 10 week scan Brixton 11 week scan Brixton 12 week scan Brixton. Early baby scan Bromley early scan Bromley early pregnancy scan Bromley dating scan Bromley reassurance scan Bromley viability scan Bromley specialist scan Bromley private baby scan Bromley early pregnancy ultrasound Bromley private pregnancy scan Bromley internal scan Bromley previous ectopic Bromley previous miscarriage scan Bromley pregnancy symptoms scan Bromley 6 week scan Bromley 7 week scan Bromley 8 week scan Bromley 9 week scan Bromley 10 week scan Bromley 11 week scan Bromley 12 week scan Bromley. Early baby scan Camberwell early scan Camberwell early pregnancy scan Camberwell dating scan Camberwell reassurance scan Camberwell viability scan Camberwell specialist scan Camberwell private baby scan Camberwell early pregnancy ultrasound Camberwell private pregnancy scan Camberwell internal scan Camberwell previous ectopic Camberwell previous miscarriage scan Camberwell pregnancy symptoms scan Camberwell 6 week scan Camberwell 7 week scan Camberwell 8 week scan Camberwell 9 week scan Camberwell 10 week scan Camberwell 11 week scan Camberwell 12 week scan Camberwell. Early baby scan Charing Cross early scan Charing Cross early pregnancy scan Charing Cross dating scan Charing Cross reassurance scan Charing Cross viability scan Charing Cross specialist scan Charing Cross private baby scan Charing Cross early pregnancy ultrasound Charing Cross private pregnancy scan Charing Cross internal scan Charing Cross previous ectopic Charing Cross previous miscarriage scan Charing Cross pregnancy symptoms scan Charing Cross 6 week scan Charing Cross 7 week scan Charing Cross 8 week scan Charing Cross 9 week scan Charing Cross 10 week scan Charing Cross 11 week scan Charing Cross 12 week scan Charing Cross. Early baby scan Chislehurst early scan Chislehurst early pregnancy scan Chislehurst dating scan Chislehurst reassurance scan Chislehurst viability scan Chislehurst specialist scan Chislehurst private baby scan Chislehurst early pregnancy ultrasound Chislehurst private pregnancy scan Chislehurst internal scan Chislehurst previous ectopic Chislehurst previous miscarriage scan Chislehurst pregnancy symptoms scan Chislehurst 6 week scan Chislehurst 7 week scan Chislehurst 8 week scan Chislehurst 9 week scan Chislehurst 10 week scan Chislehurst 11 week scan Chislehurst 12 week scan Chislehurst. Early baby scan Clapham early scan Clapham early pregnancy scan Clapham dating scan Clapham reassurance scan Clapham viability scan Clapham specialist scan Clapham private baby scan Clapham early pregnancy ultrasound Clapham private pregnancy scan Clapham internal scan Clapham previous ectopic Clapham previous miscarriage scan Clapham pregnancy symptoms scan Clapham 6 week scan Clapham 7 week scan Clapham 8 week scan Clapham 9 week scan Clapham 10 week scan Clapham 11 week scan Clapham 12 week scan Clapham. Early baby scan Crystal Palace early scan Crystal Palace early pregnancy scan Crystal Palace dating scan Crystal Palace reassurance scan Crystal Palace viability scan Crystal Palace specialist scan Crystal Palace private baby scan Crystal Palace early pregnancy ultrasound Crystal Palace private pregnancy scan Crystal Palace internal scan Crystal Palace previous ectopic Crystal Palace previous miscarriage scan Crystal Palace pregnancy symptoms scan Crystal Palace 6 week scan Crystal Palace 7 week scan Crystal Palace 8 week scan Crystal Palace 9 week scan Crystal Palace 10 week scan Crystal Palace 11 week scan Crystal Palace 12 week scan Crystal Palace. Early baby scan Greenwich early scan Greenwich early pregnancy scan Greenwich dating scan Greenwich reassurance scan Greenwich viability scan Greenwich specialist scan Greenwich private baby scan Greenwich early pregnancy ultrasound Greenwich private pregnancy scan Greenwich internal scan Greenwich previous ectopic Greenwich previous miscarriage scan Greenwich pregnancy symptoms scan Greenwich 6 week scan Greenwich 7 week scan Greenwich 8 week scan Greenwich 9 week scan Greenwich 10 week scan Greenwich 11 week scan Greenwich 12 week scan Greenwich. Early baby scan Mitcham early scan Mitcham early pregnancy scan Mitcham dating scan Mitcham reassurance scan Mitcham viability scan Mitcham specialist scan Mitcham private baby scan Mitcham early pregnancy ultrasound Mitcham private pregnancy scan Mitcham internal scan Mitcham previous ectopic Mitcham previous miscarriage scan Mitcham pregnancy symptoms scan Mitcham 6 week scan Mitcham 7 week scan Mitcham 8 week scan Mitcham 9 week scan Mitcham 10 week scan Mitcham 11 week scan Mitcham 12 week scan Mitcham. Early baby scan Morden early scan Morden early pregnancy scan Morden dating scan Morden reassurance scan Morden viability scan Morden specialist scan Morden private baby scan Morden early pregnancy ultrasound Morden private pregnancy scan Morden internal scan Morden previous ectopic Morden previous miscarriage scan Morden pregnancy symptoms scan Morden 6 week scan Morden 7 week scan Morden 8 week scan Morden 9 week scan Morden 10 week scan Morden 11 week scan Morden 12 week scan Morden. Early baby scan Peckham early scan Peckham early pregnancy scan Peckham dating scan Peckham reassurance scan Peckham viability scan Peckham specialist scan Peckham private baby scan Peckham early pregnancy ultrasound Peckham private pregnancy scan Peckham internal scan Peckham previous ectopic Peckham previous miscarriage scan Peckham pregnancy symptoms scan Peckham 6 week scan Peckham 7 week scan Peckham 8 week scan Peckham 9 week scan Peckham 10 week scan Peckham 11 week scan Peckham 12 week scan Peckham. Early baby scan Redhill early scan Redhill early pregnancy scan Redhill dating scan Redhill reassurance scan Redhill viability scan Redhill specialist scan Redhill private baby scan Redhill early pregnancy ultrasound Redhill private pregnancy scan Redhill internal scan Redhill previous ectopic Redhill previous miscarriage scan Redhill pregnancy symptoms scan Redhill 6 week scan Redhill 7 week scan Redhill 8 week scan Redhill 9 week scan Redhill 10 week scan Redhill 11 week scan Redhill 12 week scan Redhill. Early baby scan Reigate early scan Reigate early pregnancy scan Reigate dating scan Reigate reassurance scan Reigate viability scan Reigate specialist scan Reigate private baby scan Reigate early pregnancy ultrasound Reigate private pregnancy scan Reigate internal scan Reigate previous ectopic Reigate previous miscarriage scan Reigate pregnancy symptoms scan Reigate 6 week scan Reigate 7 week scan Reigate 8 week scan Reigate 9 week scan Reigate 10 week scan Reigate 11 week scan Reigate 12 week scan Reigate. Early baby scan Sutton early scan Sutton early pregnancy scan Sutton dating scan Sutton reassurance scan Sutton viability scan Sutton specialist scan Sutton private baby scan Sutton early pregnancy ultrasound Sutton private pregnancy scan Sutton internal scan Sutton previous ectopic Sutton previous miscarriage scan Sutton pregnancy symptoms scan Sutton 6 week scan Sutton 7 week scan Sutton 8 week scan Sutton 9 week scan Sutton 10 week scan Sutton 11 week scan Sutton 12 week scan Sutton. Early baby scan Tooting early scan Tooting early pregnancy scan Tooting dating scan Tooting reassurance scan Tooting viability scan Tooting specialist scan Tooting private baby scan Tooting early pregnancy ultrasound Tooting private pregnancy scan Tooting internal scan Tooting previous ectopic Tooting previous miscarriage scan Tooting pregnancy symptoms scan Tooting 6 week scan Tooting 7 week scan Tooting 8 week scan Tooting 9 week scan Tooting 10 week scan Tooting 11 week scan Tooting 12 week scan Tooting. Early baby scan Wimbledon early scan Wimbledon early pregnancy scan Wimbledon dating scan Wimbledon reassurance scan Wimbledon viability scan Wimbledon specialist scan Wimbledon private baby scan Wimbledon early pregnancy ultrasound Wimbledon private pregnancy scan Wimbledon internal scan Wimbledon previous ectopic Wimbledon previous miscarriage scan Wimbledon pregnancy symptoms scan Wimbledon 6 week scan Wimbledon 7 week scan Wimbledon 8 week scan Wimbledon 9 week scan Wimbledon 10 week scan Wimbledon 11 week scan Wimbledon 12 week scan Wimbledon.